Where is the Fortnite Blockbuster week 4 Battle Pass tier? This new challenge type gives players an extra easter egg hunt to embark upon every week, which can only be accessed if you have ticked off all of week 4’s Battle Pass challenges. Doing this will grant you a new, Season 4-themed loading screen, but what you might not know is that each Blockbuster challenge loading screen actually hides the location of a free Battle Pass tier. Fortnite Blockbuster challenge week 4 is among the hardest to spot yet if you’re unfamiliar with some of the new locations added to Fortnite’s map in Season 4. So, what does this week’s Blockbuster challenge loading screen show us? 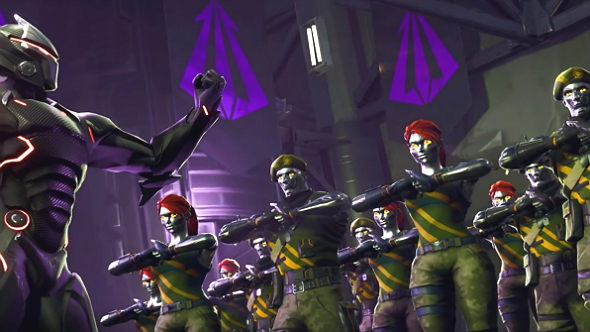 Apparently, the villainous Omega has managed to escape to their supervillain’s lair near Snobby Shores and assembling an army of Chromium and Diecast soldiers, who you might recognise from a recently added skin. 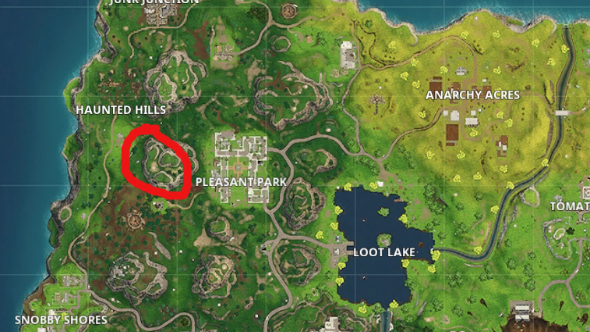 If you’re unfamiliar with the supervillain’s lair then you can find it east of Snobby Shores and on top of the mountain at B4-5. Prefer your gaming online? Here are the top multiplayer games on PC. That tells us where we’ll need to go in order to grab the free Battle Pass tier, but the exact spot is a little trickier to see. 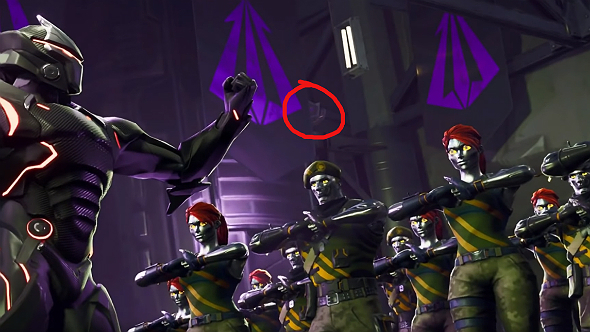 If you look closely at the image, you can see the transparent outline of a giant Battle Star to the right of Omega’s clenched fist and tucked behind a silo. All that’s left to do is drop as close to the lair as possible, get inside, and build a small ramp up to the free tier. Below you’ll see the loading screen with the free tier circled. And here’s the location of the supervillain’s lair on the map in case you didn’t know. Of course there will be a lot of other players searching for the same treasure so if you’re not desperate for this it might be worth waiting a week before hunting it down. There are only three more Fortnite Blockbuster challenges left and we’re eager to find out what scenes are portrayed on the upcoming loading screens.